Follow my journey as I work to become half the woman I was, and as I complete my first half marathon. Since 1997 (wow! That was the year my son was born!) Passion has a released a new album of live worship songs from the Passion Conference. Some of the great songs to come out of the Passion Conferences include: God's Great Dance Floor; Even So Come; The Heart of Worship; One Thing Remains; and How Great is Our God. Over the years, many of the Passion songs have been updates of familiar songs, such as Come Thou Fount and Jesus Paid it All. You can read the story of Passion here. 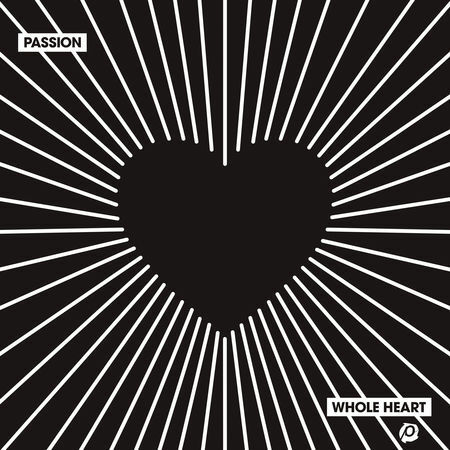 I had the opportunity to preview the newest album from Passion, called WHOLE HEART. It did not disappoint! I have loved Passion music from the first album. One thing that I have always enjoyed about the Passion albums is the variety of styles and artists that blend together. It's rare to hear live albums today, but I enjoy singing along with the crowds of people at the Passion Conference. I've never had the opportunity to attend a Passion Conference, but one of my fondest memories will always be the time I volunteered at a Promise Keepers rally. I was able to go to an observation area at the Oakland Coliseum and hear 10s of thousands of men--including my husband, my father, my father-in-law, and a couple of brothers-in-law--worshipping God together. One song that stood out to me was a classic revisited. God, You're So Good (featuring Kristian Stanfill) brings new life to a chorus we used to sing when I was a kid (40 years ago). "God is so Good'. There was one familiar song, Great Are You Lord (featuring Matt Redman). This song has already become a favorite both for me personally and for our church. It's Your breath, in our lungs. So we pour out our praise to You only. Another favorite that I've been hearing on K-LOVE Radio is the final song, All My Hope. I've heard Crowder talking about the story behind the song. A man was saved while in prison. When he was released--after many years--his friends threw a prodigal party. All my hope is in Jesus. Thank God my yesterdays gone. All my sins are forgiven. I've been washed by the blood. 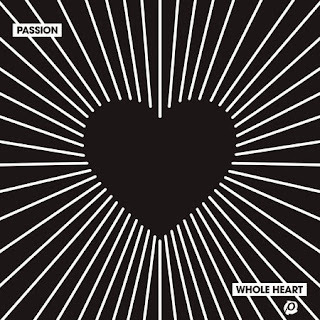 WHOLE HEART is the new live album from Passion, and it was captured at Passion Conference 2018 in Atlanta, GA. The album features Passion Arts such as: Kristian Stanfill, Melodie Malone, Sean Curran, Matt Redman, and Crowder. You can buy Whole Heart here. You can listen to Passion Music on Spotify here. I have the chance to give away one copy of WHOLE HEART. To enter, leave a comment below. For extra entries, follow me on Facebook, Twitter, Instagram, or Pinterest. Share this post on any of these (or your blog) using the links on the post. Let me know in a comment which things you did. Winner will have 24 hours to respond with address or a new winner will be chosen. Open to continental US. Only one entrant per mailing address, per giveaway. If you have won a prize from our sponsor Propeller /FlyBy Promotions in the last 30 days on the same blog, you are not eligible to win. Or if you have won the same prize on another blog, you are not eligible to win it again. Winner is subject to eligibility verification. Giveaways are open to continental U.S. residents only. Thanks for your support on this journey. Please be nice (to me and to other commenters).